New 12 Month Starter Kit to include everything you need to connect and play online including a full version of â€œProject Gotham Racing 2â€�. Microsoft announced today that a new version of the 12 Month Xbox Liveâ„¢ Starter Kit is now available in retail stores. The package, which retails for $69.99, includes a 12 month Xbox Live subscription, an Xbox Live Communicator Headset, a full version of the award-winning â€œProject Gotham Racing 2â€� and casual games from Xbox Live Arcade. New Xbox Live gamers will enjoy more than 300 games this holiday, along with more than 400 pieces of downloadable game content. Xbox Live Arcade offers quick and easy access to coin-op classics like â€œDig Dugâ€� and â€œGalagaâ€� and broad-appeal favorites like â€œBejeweledâ€�, â€œZumaâ€� and â€œBankshot Billiardsâ€� amongst its catalog of downloadable game titles. Xbox Live is a universal service, so gamers will be able to transfer Xbox Live memberships seamlessly from Xbox to Xbox 360, while still enjoying online games and entertainment on the current-generation system. Xbox Live continues to transform and unite Xbox game communities worldwide, with more than 300 games planned by end of holiday 2005 for Xbox and now with presence in 24 countries worldwide. As the first global, unified online console games service, Xbox Live continues to take online gameplay and entertainment to unprecedented heights. With a dynamic, global community of 2 million members, Xbox Live offers best-in-class games, intelligent matchmaking, tournaments, unique programming and integration with Xbox.com â€” there is simply nothing else like it. 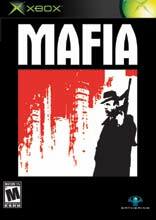 Mafia brings the 1930â€™s underworld to life in this 3rd person 3D action game. Rise from the lowly but well-dressed footsoldier to the envied and feared Made Man in an era of big bands, zoot suits an..